Do It Myself Blog – Glenda Watson Hyatt » Let’s Feed 100 People in Need Christmas Dinner, Again! Last year, thanks to you, 100 people in need enjoyed a warm meal on Christmas. Let’s do it again this year! 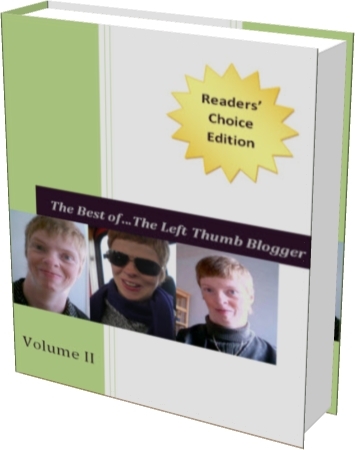 The Best ofâ€¦The Left Thumb Blogger: Volume II is a collection of favourite posts selected by Do It By Myself Blog readers. To supportÂ the Union Gospel Mission – the lifeline to basic necessities for thousands of men, women and children – and its hope-giving Christmas Dinner campaign, every ebook purchased before December 21st for only $6.50, $3.29 will buy Christmas dinner for someone in need. If you don’t wish to purchase the ebook, but would like to buy someone in need Christmas dinner, kindly buy me a coffee for $3.29 (using the link below this post) and I’ll add your donation to the total. Together, let’s feed 100 people Christmas dinner and show them they are still valued members of our community. 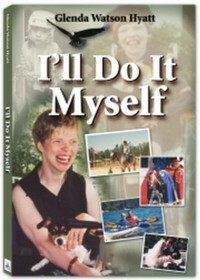 Just grabbed my copy – didn’t want ’em to sell out! Thanks for doing this and reminding us the real Reason for the Season! Blessings on you and Darryl during the Christmas season! In less than 24 hours, we’re more than 10% of the way! Thanks folks. Woohoo! Thanks to you 40 more people in need will receive a warm meal prepared by the Union Gospel Mission on Christmas. Thank you so much, folks. I am having a high water moment; this means a lot to me. Thank you. A heartfelt thanks to all of you. Because of your generosity, fifty people who are homeless and in dire need will now enjoy a warm meal on Christmas day. Thank you.